If you or your child has experienced eczema, you know that it can be extremely uncomfortable – and even embarrassing, at times. Eczema is dry, itchy, and red skin that can occur in both children and adults. Its causes and diagnosis can be challenging to pinpoint, but there are fortunately many ways to counteract the discomfort. Read on to learn more about common preventative measures and treatments for eczema, as well as newer products that may bring relief when other treatments have failed. Atopic dermatitis, or infantile eczema, can occur in babies and older children. The term “atopic” refers to the skin’s reaction to irritants such as food, mold, pollen, dust, and other allergens. “Dermatitis” defines the resulting irritation, redness, and soreness. Eczema is characterized by red, irritated skin and occasionally small, fluid-filled bumps on the cheeks, forehead, or scalp. This rash may also spread to the arms, legs, and torso; and in severe cases, oozing may occur and lesions may form on the affected area. Round, swollen, scaly, or itchy patches may also occur anywhere that limbs bend, such as elbows, knees, ankles, and wrists. About 10 percent of children will develop eczema, usually before the age of five. Those who do contract it at a young age are likely to be free of symptoms by the time they reach adolescence. However, flare-ups can begin at any age and return after long periods of remission. Genetic disposition may be a factor in determining whether or not a child or adult develops eczema. Often, a person with eczema will have close relatives that suffer from allergies or asthma, if not eczema. Because there are no conclusive tests to determine whether your (or your child’s) condition is eczema, your doctor will make the diagnosis after taking a complete medical history and examining current symptoms. Several visits to a primary care physician, dermatologist, or allergist may be necessary to gain a diagnosis. How Can I Prevent Eczema Flare-ups? Avoid common allergens such as dust, pollen, mold, and animal dander, or foods to which the individual is intolerant. Keep indoor air moist and cool. Stay out of extremely hot or cold outdoor conditions. Use soaps and skincare products that do not contain harsh chemicals or fragrances. Avoid wearing itchy or coarse fabrics, such as wool or burlap. Opt instead for soft fabrics, such as cotton. Don’t smoke, and limit time at places with excessive tobacco smoke. Practice stress-management techniques as needed. Avoid excessive sweating and bathe promptly after exercise. If possible, choose tile or hardwood flooring instead of carpet, which can hold on to allergens such as pet dander. Using one or more humidifiers in your home is a great way to restore moisture to the air. Occasionally opening a window for short periods of time can also allow natural moisture from the atmosphere to mingle with the drier, climate-controlled indoor air. In colder months, turning the heat down to the lowest temperature possible will reduce its drying effect. Moisturizing is also an important component of treating the dry, itchy skin caused by eczema. For the best product absorption, apply moisturizer after a bath or shower. The hotter the water you use, the more drying it can be to your skin. Therefore, use the coolest water temperature that is comfortable for you. Avoid using scratchy loofahs or washcloths when bathing, and pat skin dry – do not rub! Although it may be difficult at times, avoid the temptation to scratch. This damages the skin and can actually worsen the eczema by causing a thickening of the rash, or lichenification. Instead, use cool temperatures to sooth the itch. Ice packs and bags of frozen vegetables work well. Another method is to keep moisturizers and topical medications in the refrigerator, lending them a cooling effect when applied to the skin. When choosing a moisturizer, check the ingredients list to make sure that none of the ingredients may irritate your skin and exacerbate eczema symptoms. Alcohol, menthol, and fragrances should be avoided. Creams are mixtures of fat and water. They feel cool and light on the skin and are often preferred for daytime use. Ointments can be quite greasy, but they do the best job at holding in moisture. If rashes are “weeping” or oozing, ointments should be avoided. Lotions contain a higher ratio of water to fat than creams and provide less effective moisturizing, but can be used on hairier areas that may make the use of a cream or ointment more difficult. 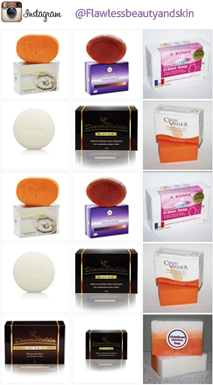 There are many products on the market today that can help with the irritation, dryness, and itching caused by eczema. Some are available over the counter, while others require a prescription. In either case, it is best to consult your doctor before trying a new eczema treatment. Oatmeal baths, such as Aveeno’s Eczema Therapy Bath Treatment, are available and can provide immediate relief for babies and adults. Topical corticosteroids, which are creams or ointments, should be applied to the affected area twice daily. Antihistamines are allergy medications that help control itching. Oral or topical antibiotics may be prescribed to treat or prevent secondary infections. Ultraviolet light may be used by a dermatologist on older children and adults to help clear up severe eczema flare-ups. New medications can help to change the immune system’s reaction to flare-ups. If you are one of the millions affected by eczema, you are not alone! Although the occasional flare-up may cause discomfort and embarrassment, help is available. Talk with your doctor to find out if any of the treatment methods listed above might work for you and visit flawlessbeautyandskin.com for helpful skin care products.